A Software Engineer at T-mobile. Received M.S. in Electrical and Systems Engineering from Washington University in St.Louis. Goal oriented Engineer with 8 years+ experience in developing, testing and debugging web applications in Telecommunication fields. Building WebRCT application with communication network technologies (HTTP, WebSocket). Using real-time protocol to transfer audio and video, implementing conference, message and calling functionality on web browser. Designed, Developing, testing Digits UCC project with designers and developers from WRC, WRG teams. 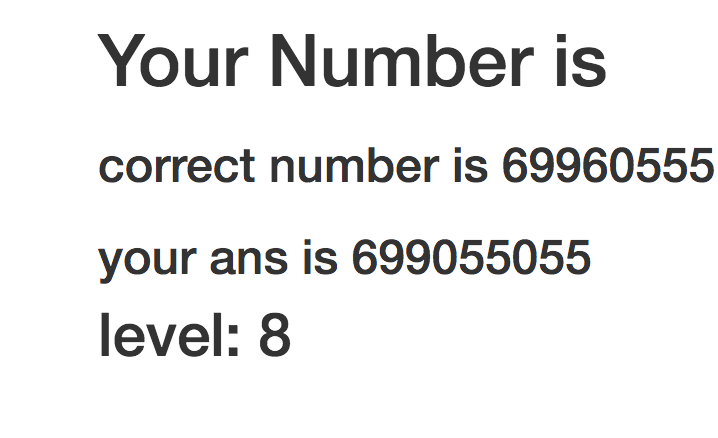 Developing Digits using Angular JS, SASS, HTML with JSP. Communicating with UX, back-end and QA team, improved development efficiency , resolved bugs quickly. Participate and contribute in weekly code reviews and daily stand-ups with intern mentor. Developed a restaurant online reservation web application using Angular 4 as front-end framework and Firebase as the back-end. Designed, implemented and supported in a database driven system to gather customs info and tracking network resources for China Tel using C++ and PHP. Fixed bugs and provided support services for the application. Led monitoring team of six for the daily operations in Shanghai Telecom’s Network. Configured various types of network devices for different vendors like Cisco, Huawei, and Juniper. Responsible for monitoring the IP network in Shanghai, responding to outages, and working closely with other Network operations centers to debug and diagnose network and circuit problems. Helped customers to solve problems in their LAN. Worked closely with other engineers to do the traffic migration work. A web real-time communication application base on WebRTC technology. It allows users to make call and send & receive message from different devices or receive message and calls from different lines using one device. An online Harry Potter Inspired restaurant reservation system with REST functionality base on Angular 4 and Firebase. Customer can book edit and cancel the reservation through the app and owner can manage the orders and contacts info online. A website based on the website which provides flight prediction service based on the data gathered from these database weather information database, previous flight delay information database and calendar database. Using our website, customs can decide whether they should leave more time space between their travel plans (because the weather forecasts are only valid within a week in future, so we can only predict the probability of flight delay in the future one week). 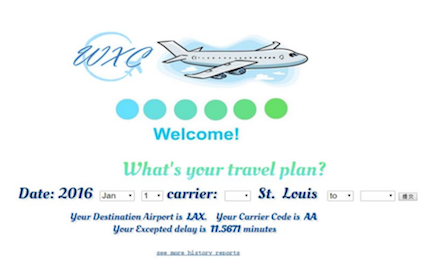 By choosing the date and flight number of their flight, the web will return a probability of the flight delay. Also, we may give customs some advice to arrange their agenda and selection of airline. ○ Design & Setup DB ○ Using linear regression to calculate the prediction. ○ Design & implement the website by myself. ○ Gather data from various source with my team mates. A movie recommendation system implements collaboration flitering for Netflix users, base on the history rating racords to find out who have similar rating behaviors then predict the rating for a particular user for a given movie. ○ Using similarity matrix to given the prediction. ○ Implement the algorithm by myself. ○ Used AWS S3 service to process the big data. Feature selection is a process of selecting a subset of relevant features for use in model construction.In this project, three feature selection methods were applied: SVD/PCA, PCA & ICA and Autoencoder on the Alzheimer disease genes dataset to find out whether data selection works in the way we anticipated and the different between three methods. Please download the doc for detail informations. A Database driven system used to track Network resource and gather internal user information.